The Pittsburgh Section of ASCE participates as a member organization of the Construction Legislative Council of Western Pennsylvania (CLC). The CLC’s goal is to promote the legislative interests of Western Pennsylvania's construction industry by actively participating in the legislative process and to present a unified voice in government regarding legislative matters of concern to the entire construction industry. Recently the CLC has been actively advocating for the Pennsylvania Legislature to address a very serious concern about PennDOT funding under Act 44. The CLC Chairman James Mall, wrote a very informative article which was published in the Pittsburgh Post-Gazette in December. ASCE encourages every member to read this article and join us in advocating for this issue to be promptly addressed. Stay tuned for more information as the Section’s Government Relations Committee and the CLC advocate on this issue. If you are interested in getting more active in Government Relations please sign up for free to be an ASCE Key Contact (http://www.asce.org/keycontacts/) and/or email the Section’s Government Relations Committee Chair Greg Scott (gscott@bucharthorn.com). 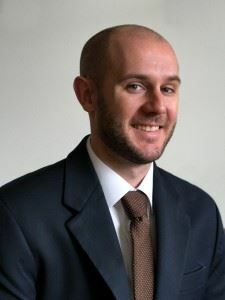 David Lattanzi, PhD, PE is an Assistant Professor at George Mason University, specializing in robotics, 3D visualization, and artificial intelligence as it relates to Civil and Structural Engineering. He presented at the annual Pittsburgh SEI Chapter and ABCD Organization joint meeting on these topics and how they are changing the industry. One emerging technology is the use of Unmanned Aerial Vehicles (UAVs), commonly known as drones, to assist with the inspection, analysis, and review of structures during most phases of construction and maintenance. A camera or similar recording device can be connected to a drone to capture video of the entire structure from multiple angles as the UAV is flown around the structure. 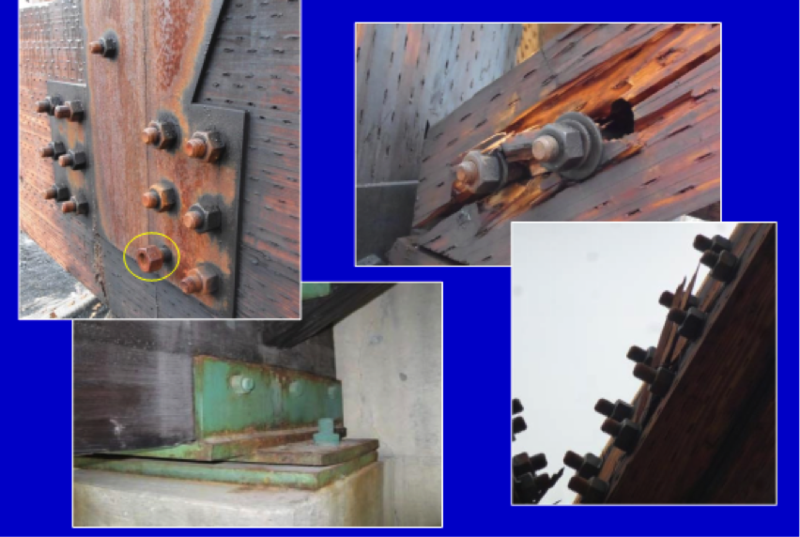 The recorded data is detailed enough to review individual images of small components such as bolted connections, as well as larger components such as steel or concrete girders. Additionally, the data can be processed to develop 3D point clouds of the entire structure. With this information, one can review overall dimensions, full-system interaction, and potential structural defects. The user also has the ability to zoom into select details of the structure and access the pictures taken from the drone at that specific location. Dr. Lattanzi also shared some lessons learned while conducting a case study using UAVs to analyze a bridge or structure. First, planning is key. The team quickly determined that having a plan of the expected flight routes and the camera views/orientations was extremely important. To capture all the components of the structure and make a complete 3D model requires overlapping images from multiple angles and directions. Another lesson learned was that communication between team members is extremely important, both during the inspection and while manipulating the data to create the 3D model. Finally, the entire team agreed that one thing is certain: Inspectors aren’t being displaced anytime soon. For inspectors and engineers, drones are a new tool and the data they provide is the product. UAVs can capture data, but inspectors are required to understand the photo content and determine the importance and requirement for additional analysis or repair. This is similar to how engineers have come to embrace computers and technology for assistance in designing structures. Computers don’t design an entire structure; design requires input and judgement from an engineer to determine what is appropriate and how to analyze the output . While it is encouraging that the industry embrace UAVs to streamline the construction and inspection processes there is still an uphill battle before full implementation can be achieved. First and foremost, there are a lot of regulations limiting where flights are allowed and how UAVs are used in the field and on construction sites. Additionally, measurements of defects can be estimated from images and data, but actual physical testing (such as hammer sounding, chloride tests, field measurements of cracks) can’t be accomplished. Furthermore, until operators have more experience and better understanding of the required process and approach to use while recording video and data, there is the potential that certain items may be missed that would have been found if inspectors physically reviewed all the connections and members in person. 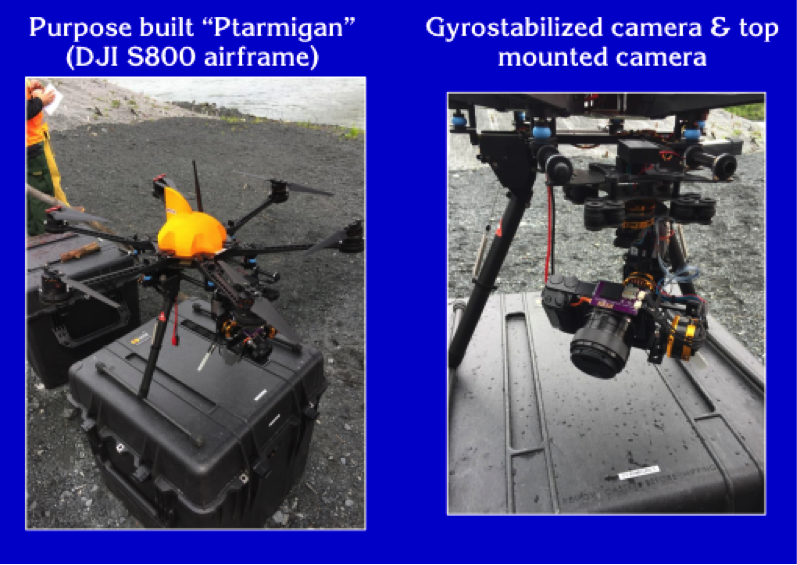 The presentation served to bring awareness to the use of UAVs and the data they collect to structural engineers, inspectors, and contractors who may be considering using drones to streamline inspections and construction for upcoming projects. This is just an overview of some of the benefits and limitations of UAVs in the construction industry. It is important to contact trained professionals that are knowledgeable in the use of UAVs when determining the applicability for a project and the appropriate information required to make its use successful. 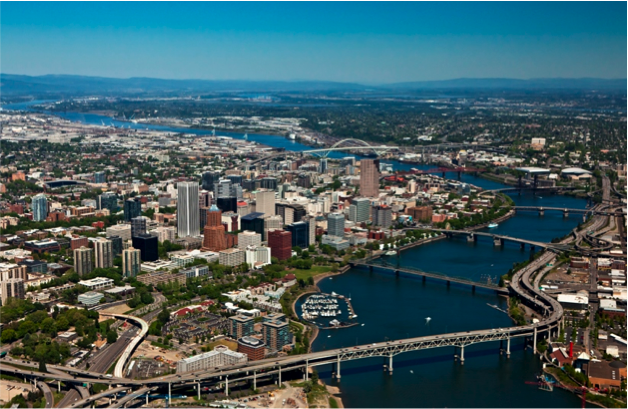 Stay up to date with the latest news in the P3 Rapid Bridge Replacement Project. Pennsylvania had approximately 4,500 structurally deficient bridge as of 2012; to try to address a portion of these bridges PennDOT took advantage of a public-private partnership (P3) known as the Rapid Bridge Replacement Project (RBRP). RBRP is a project to replace 558 structurally deficient bridges across Pennsylvania in three years and then maintain the following 28 years. As the project continues and a very busy construction season for RBRP this upcoming summer, you can follow all the work on the RBRP blog here. Also on the site, you can search each county to see what bridges are near you and what the schedule is for them as well as current pictures of the structural deficient bridges and once completed of the new structures. 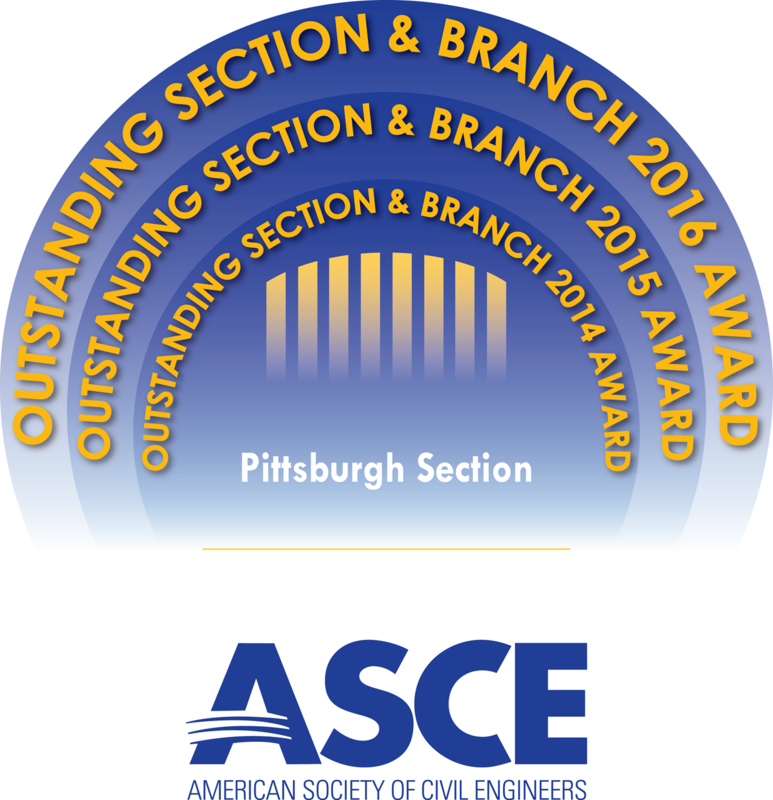 Pittsburgh, PA – The Pittsburgh Section of the American Society of Civil Engineers (ASCE) received the 2016 Outstanding Large Section Award presented by the National office of ASCE. The national ASCE organization bestowed this award to the Pittsburgh Section for outstanding achievements in the areas of diversity and inclusion, community service, volunteer efforts, outreach, and advocacy of the profession. “I have witnessed it firsthand; this group of people strives to be the best in every activity and every goal they endeavor to pursue. I enjoy observing the passion, enthusiasm, and step-up attitude that our officers, Board members, Institute Chairs and Committee leaders possess. Having an opportunity to work with so many outstanding professionals who take time out of their professional and personal lives to promote our section and its members makes me proud,” says Pittsburgh Section President, Patrick J. Sullivan, Jr., P.E., Principal, Civil & Environmental Consultants, Inc.
ABOUT ASCE: Founded in 1852, the American Society of Civil Engineers (ASCE) (www.ASCE.org) represents more than 140,000 members of the civil engineering profession worldwide and is America's oldest national professional engineering society. 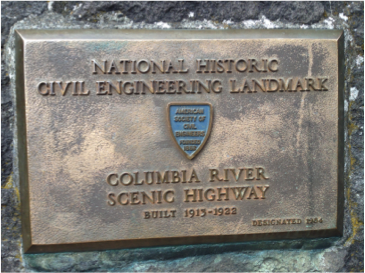 ASCE's Mission is to provide essential value to our members and partners, advance civil engineering, and provide factual information to assist in the formulation of sound and responsible public policy. ASCE advances technology, encourages lifelong learning, promotes professional performance, develops leaders, and advocates infrastructure and environmental stewardship. 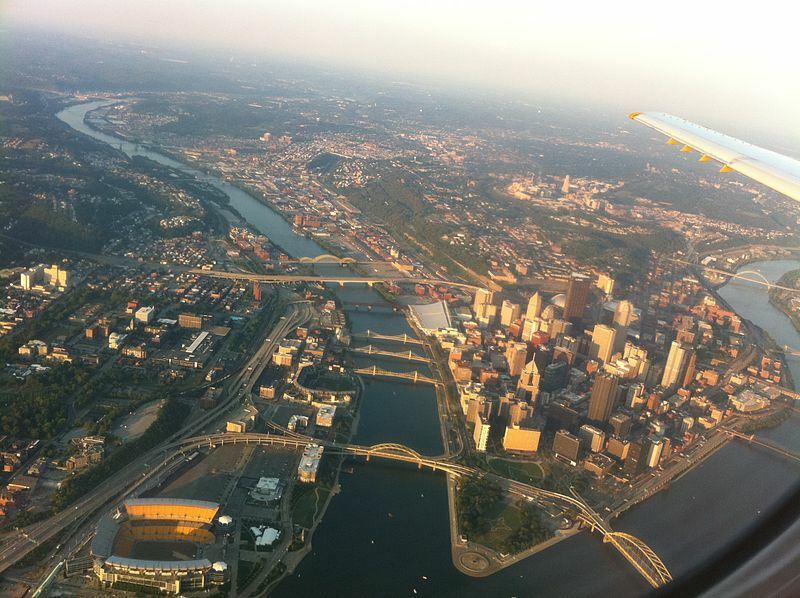 For more information about the ASCE Pittsburgh Section, please see: www.asce-pgh.org. Mr. Johansson, is the founder of The Medici Group, a firm that specializes in mentoring and advising corporations on “how to innovate and grow, even when the rules are changing; develop next-generation leaders that can execute, even in the face of uncertainty; and create a self-sustaining culture of innovation that can withstand even the most volatile markets”. At the National Convention, Mr. Johansson’s topic was “Diversity Drives Innovation”. 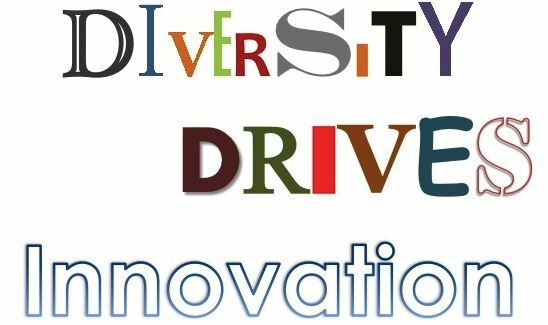 Mr. Johansson states that diverse teams develop and create exponentially more ideas than teams comprised of personnel with the same experience, background and thought process. An architect was tasked to design a seven-story apartment building in Zimbabwe. The temperatures in Zimbabwe can exceed 100 degrees F in summer months, so the building needed to be air-conditioned. But the cost of providing this service would make the apartments unaffordable. While walking through the proposed area, the architect spotted an anthill. 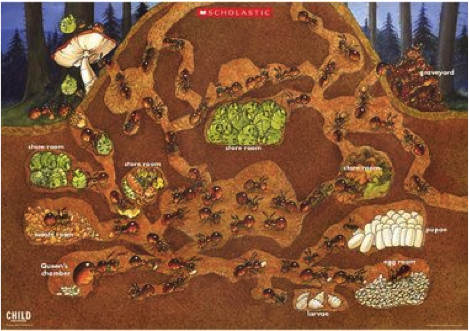 He thought, “How can ants survive with the sun beating on the surface of their home.” After some research, he discovered that ants use a series of tunnels to cool air from outside, distribute the air throughout the anthill, and discharge warm air from the top. The architect then developed a design that utilized the same process, thereby eliminating the need for air conditioning to provide moderate temperatures in the apartment. In order for a specialized surgical team in the United Kingdom to properly and efficiently perform an operation, each member of the team has a specific purpose and must be able to move accordingly within the operating area to complete their responsibility. The surgical team met with members of a McLaren Formula 1 pit team. There are similarities in the two methods of organization. The pit crew knows where and when they need to be at a specific location during a pit stop. The surgical team studied the movements and their practices, and became more efficient in their profession. A woman of Muslim heritage moved to a beach side town in Australia, where the population is traditionally non-Muslim. She wanted to swim, but could not wear a conventional swimsuit because of her religious beliefs. She invented a burqini, a full body swimsuit with a hood for covering her hair and of a color matching Islamic beliefs. An entrepreneur named Yngve Bergqvist wanted to popularize the winter season for tourists in his hometown of Jukkasjarvi, Sweden, north of the Arctic Circle. He created a series of outdoor ice exhibits, and then added additional exhibits from artists across the world to create a snow gallery. He staged his snow gallery in an igloo. 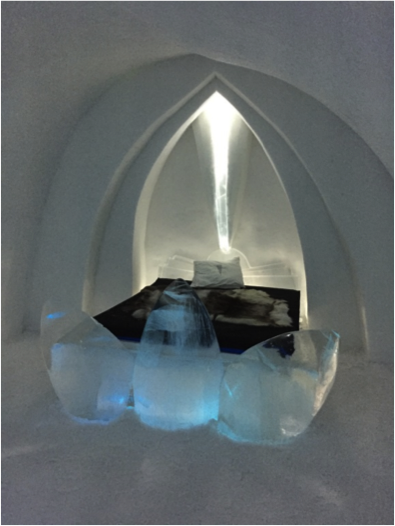 When someone new to Sweden asked if they could spend the night in the igloo, something Yngve did not think would be desirable, he created the Icehotel, a CO2 negative building, where you can sleep in a room hewn from ice at a temperature of 20 degrees F. It is one of the most popular destinations in Sweden. More ideas are a significant predictor of innovative success. So pay attention to surprise and the unexpected. It may lead to amazing innovation. More than 50 ASCE members and guests gathered at the Gaetano’s Restaurant on Thursday, December 8th for an ASCE Pittsburgh Section Geo-Institute Chapter meeting. As part of the meeting, Dr. Andrew Bunger, professor at the University of Pittsburgh’s Department of Civil and Environmental Engineering, presented the lecture “How Hydraulic Fracturing Changed an Industry and How Research is Changing Hydraulic Fracturing.” The presentation focused on hydraulic fracturing technology for stimulation of oil and gas recovery over the past seven decades and its current on-going research. 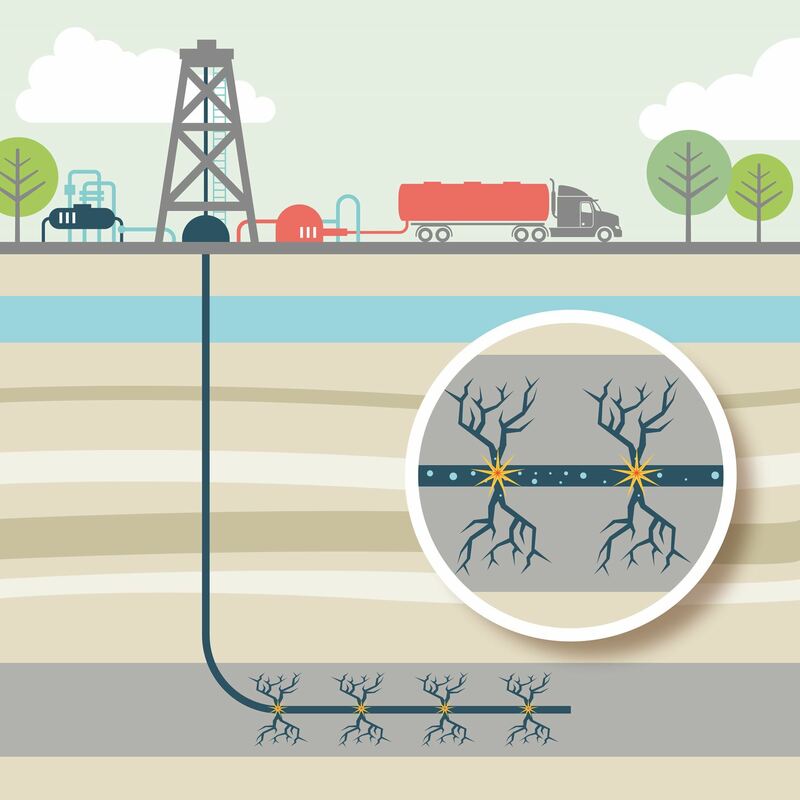 Technology for hydraulic fracturing has evolved over nearly seven decades. Most recently it has been credited with unlocking vast resources that were previously uneconomical to produce. In doing so, hydraulic fracturing has revolutionized the industry and become one of the most influential innovations of our current century. The engineering and innovation involved in today’s approach to hydraulic fracturing is intertwined with the decade old origins. Dr. Bunger talked briefly talked about the historical strives and advancement made in hydraulic fracturing technology. He also talked about the on-going research at the University of Pittsburgh regarding how to effectively stimulate a 5,000 to 10,000 feet of horizontally-drilled wellbore that are in many cases 40% ineffectively stimulated. The presentation illustrated how an understanding of hydraulic fracturing mechanics, developed through the use of hydraulic fracturing models, has led to a proposed way forward with the potential to drastically reduce unstimulated sections of wellbore with a subtle, no-cost modification of standard practice. On November 10th-12th, 2016, I had the opportunity to represent ASCE-Pittsburgh at this year’s Emerging Leaders Alliance Conference in Falls Church, VA. The opening session was titled: “Personal Vision: Becoming an Indispensable Leader” and was given by Bob Heavers of Priority Management. The overall conference goal was to developing better leaders, and started with asking participants to take a closer look at what’s important to them and how they can be fully engaged as individuals. We all want to be “successful,” but everyone has a different idea of what that means. How do you define success? Most people will come up with a goal-based definition – I’m successful when I accomplish a set goal. However, most will also recognize that they can be successful without accomplishing the goal, as long as they made progress. This leads to the definition of success given by Mr. Heavers as “little more than moving, at whatever pace you choose, in the direction of things that are most important to YOU.” Therefore, the first step in being successful is determining what is most important to you. 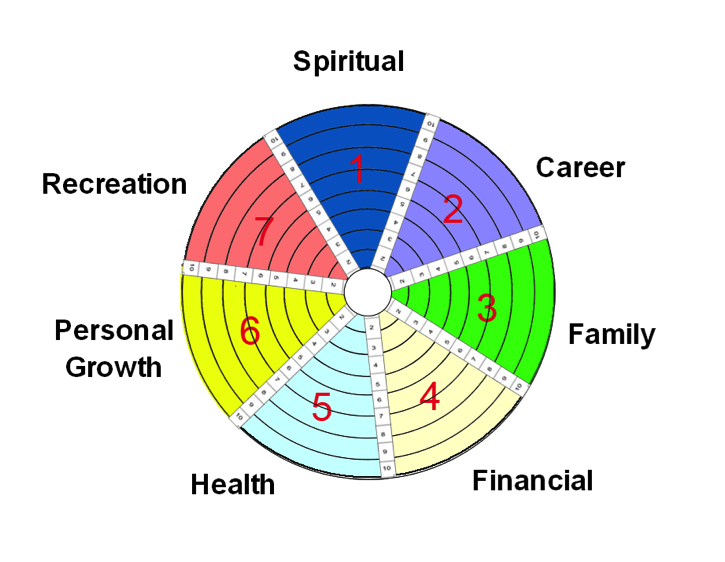 Each category is scaled 0 to 10, with zero at the center of the wheel representing “I spend no time on this part of my life,” and 10 at the outer edge representing “I spend a lot of time on this part of my life.” Draw a line across each section for where you think you are currently. Is your life balanced? Or are you spending too much time on certain areas and not enough on others? Now use a different color to draw a line across each section for where you would like to be. How big are the differences? This will allow you to see where you are failing yourself and where you should focus your energy to change. While the numbers vary, it is believed that up to 80% of all illness and disease in the US is related to stress. Stress is a sign that your wheel may be out of balance and you should consider making a change. There is no need to make big changes all at once – drastic changes have been shown to be harder to maintain. Instead, strive to move your lines one step closer together and see where it takes you. You may begin to feel more successful by making just small changes in your life. 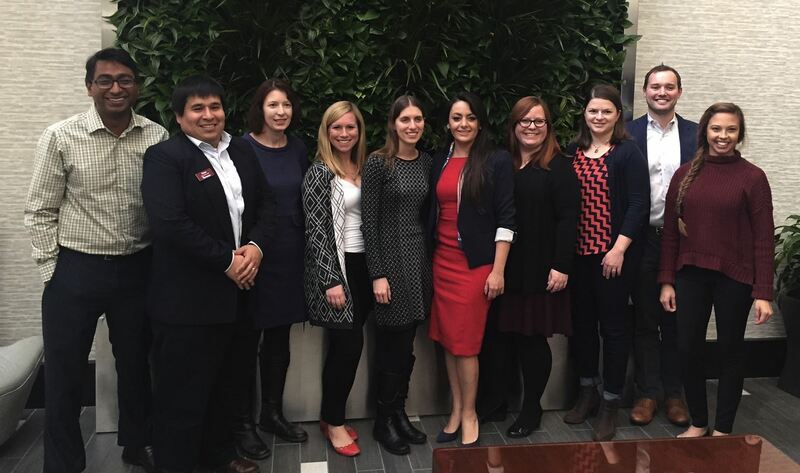 The above information was presented at the 2016 Emerging Leaders Alliance, co-sponsored by ASCE National. The Emerging Leaders Alliance is a partnership among leading engineering and science-based organizations that provides high quality leadership training. Their mission is to provide an interdisciplinary Leadership Conference for select professionals, promoting the development of great leaders to guide our professions in addressing the needs of people in the 21st century. Section Director Linda Kaplan, PE attended the conference and is sharing materials with our membership. On Saturday, Dec. 10, the U.S. Senate passed the Water Infrastructure Improvements for the Nation (WIIN) Act, which included a Water Resources Development Act (WRDA) title by a vote of 78-21. 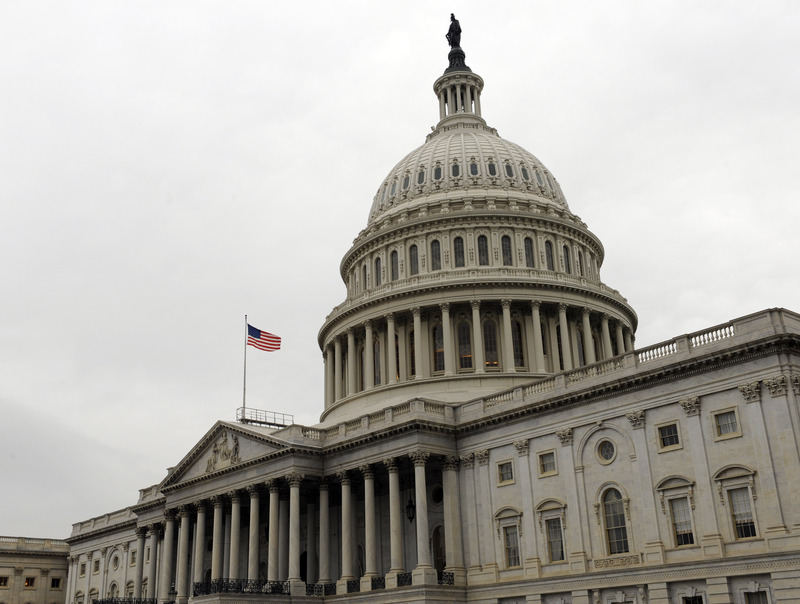 The vote was one of the final acts of the 114th Congress. The House passed the same bill a few days earlier by a vote of 360-61. President Obama signed the bill into law on December 16th. This bill had been months—and in some ways years—in the making. Since the beginning of this year, ASCE has been actively working on getting a water resources bill passed, and restoring it to a two-year cycle. In February, ASCE provided Congressional testimony before both the Senate and House on the importance of passing a new water resources bill. The final bill includes several ASCE priorities, includingthe creation of a High Hazard Dam Rehabilitation program and other important infrastructure programs, including authorization of 30 new projects for the U.S. Army Corps of Engineers. ASCE members sent nearly 5,000 emails to Capitol Hill urging passage during the final days of debate on the bill. Those final few days before the bill’s passage were fraught with consternation as a provision inserted last minute to assist with drought relief to western states rattled environmentalists and the bill’s primary Democratic author, California Senator Barbara Boxer, who worried that water transfers could affect the health of fishery populations. Those concerns did peel off nearly two dozen democratic votes in the Senate, however, the bill ultimately passed with strong bipartisan support. While Congress has vowed to pass a water resources bill every two years (the last one passed in 2014, but before that 2007) the authorization components of the bill still must be funded through annual appropriations. The 114th Congress concluded by passing a continuing resolution (CR) to keep the government open and running through April 2017. This sort of stopgap funding measure is not the type of major injections of infrastructure investment necessary to reduce the estimated $1.6 trillion infrastructure funding gap that is expected by 2020. We are hopeful that the 115th Congress will work diligently to fund infrastructure programs and increase federal appropriations to important programs. 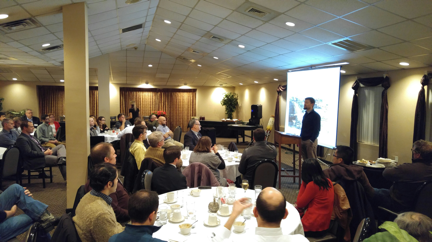 Greg Nault, PE, SE, a representative and engineer from Ductal Engineering, a component of LafargeHolcim, presented to the Pittsburgh SEI Chapter last month on Ultra-High Performance Concrete (UHPC), most specifically it’s applications in Bridge Structures. He discussed many of the advantages and disadvantages of the material, as well as best practices and applications. One of the most notable differences between conventional concrete and UHPC is the compressive strength. UHPC has a capacity upward of 25,000 psi compared to a range of 4,000 – 6,000 psi for conventional concrete. UHPC also has post-cracking tensile strength of 1,200 psi compared to 0 psi for conventional. In addition to holding higher loads, this is also a very useful feature to consider for accelerated construction - as typical design strengths are achieved very quickly with some products reaching 14,000 psi compressive strengths in as little as 12 hours. 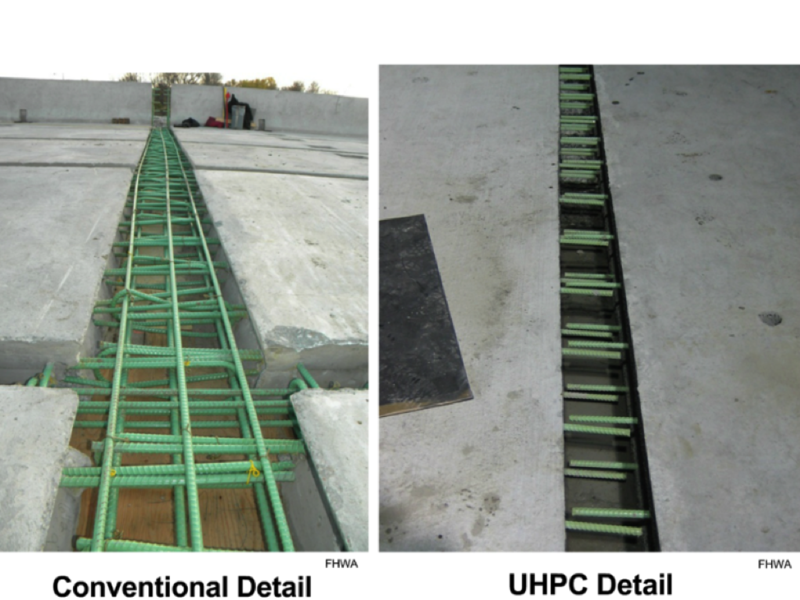 Another benefit of UHPC is a substantially reduced development length of reinforcement, which can be of great value in reducing the size of bridge joints. 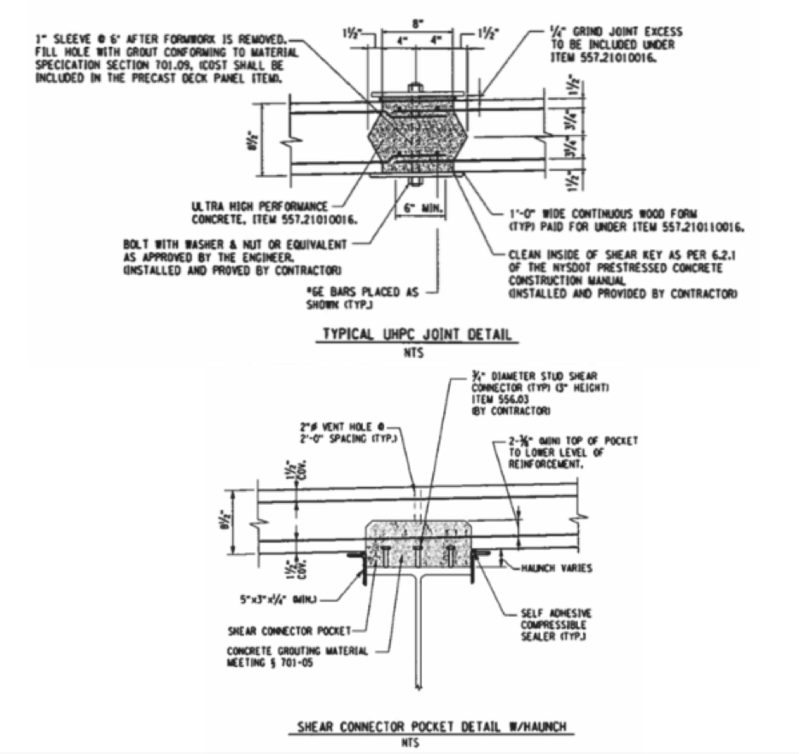 Additionally, this reduced development length can eliminate the need for hooked reinforcing bars in joints, which results in simpler detailing and easier construction methods. 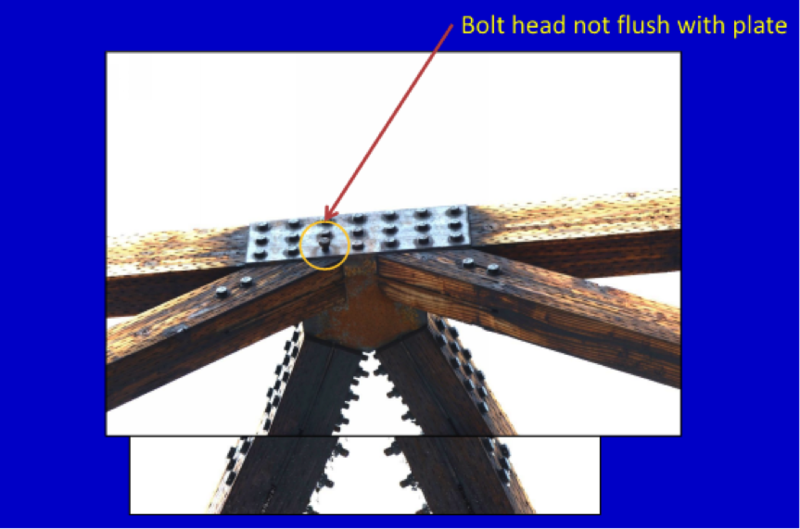 Typical joints and details for UHPC used in bridge joints are shown. 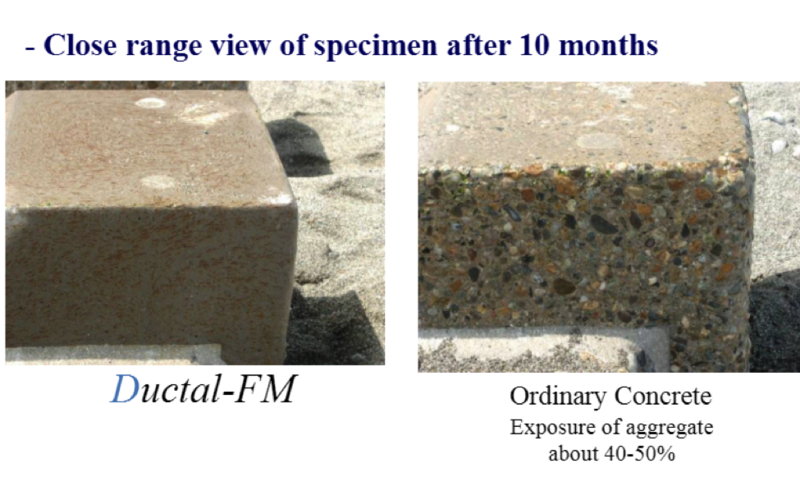 While Ultra-High Performance Concrete does have many distinct advantages, it is important to account for some deterrents of the product. Most specifically the price of UHPC is substantially higher than conventional concrete in a direct volume comparison. 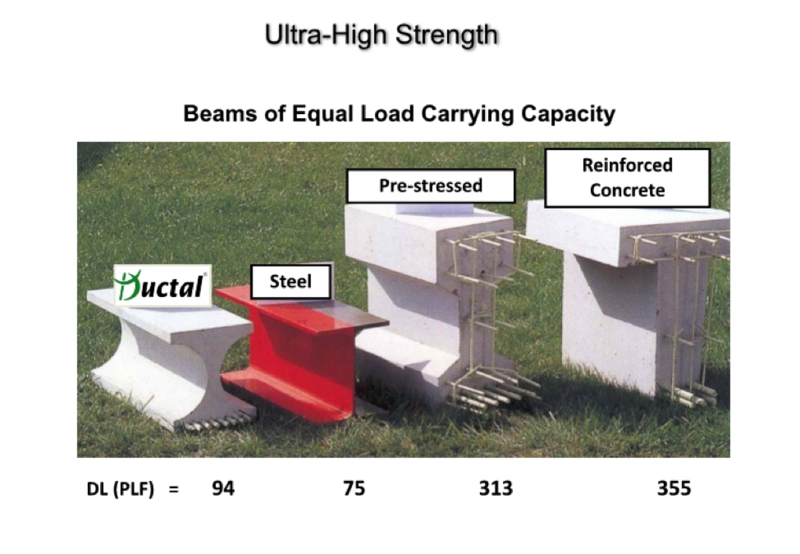 However, it is important to note that less volume of UHPC is required for the same strength as typical concrete. UHPC also requires batch mixing on-site and can only be done in small batches. Since it is a flowable material, it is necessary to be aware that large pours spanning long lengths of joints in bridge decks can create uplift pressure at the lower elevation points of the pour, which must be resisted by formwork. Specialty sub-contractors are typically necessary for this work. The presentation served to bring awareness of Ultra-High Performance Concrete to structural engineers who may be considering this product as a potential option for upcoming projects. This is just an overview of some of the advantages and disadvantages of UHPC and it is important to contact vendors and engineers that are extremely knowledgeable in all the aspects of the product when determining its applicability for a project. The Pittsburgh SEI Chapter is planning a presentation on the Accelerated Bridge Replacement of State Road 30 here in Pittsburgh, which used UHPC. This event will be held in the spring, and we encourage you to join us! This past October, I represented the ASCE-Pittsburgh Section at the American Society of Civil Engineers (ASCE) National Convention in Portland, OR. The Keynote Speaker for the event was Frans Johansson, international best-selling author of the book “The Medici Effect” and “Click Moment”. Mr. Johansson spent an hour discussing the importance of diversity as a key driver in domestic and global innovative success. Look for an article on Mr. Johanssons’ presentation in a future blog. ASCE is also supporting two initiatives in 2016-2017. The first is the “Raise the Bar” initiative, which seeks to advance the profession and the public welfare by actively supporting the national movement to raise educational requirements for licensure of future professional engineers. More information about it can be reviewed at the following website: http://www.asce.org/raise_the_bar/. The second initiative, the “Grand Challenge,” calls upon all civil engineers to solve this problem: “Investments needed to improve our infrastructure continue to increase well beyond available funding. Find methods to 1) Significantly enhance the performance and value of infrastructure projects over their life cycles by 2025 and 2) Foster the optimization of infrastructure investments for society”. Influence major policy changes and infrastructure funding levels. 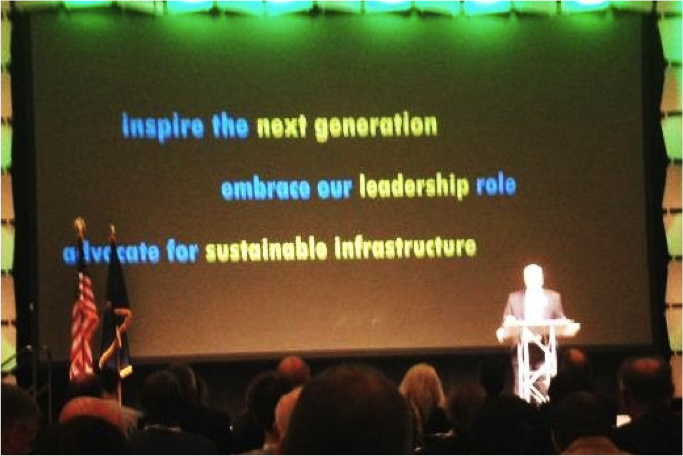 The ASCE Convention is the Society flagship membership event. It is the single annual opportunity for which the entire Society is represented together, and it reflects the diversity that ASCE encompasses. I was honored to represent our Section this year, and encourage you all to consider being a part of next year’s annual event in New Orleans on October 8th - 11th, 2017.